Sometimes it is convenient to allow users of your Qrimp application to filter the items in one select box by choosing an item in another select box. For example, when choosing to examine fuel economy by vehicle, because there are hundreds of different types of cars, you could let your users filter by Make, and then show only the particular models for that make in another box. 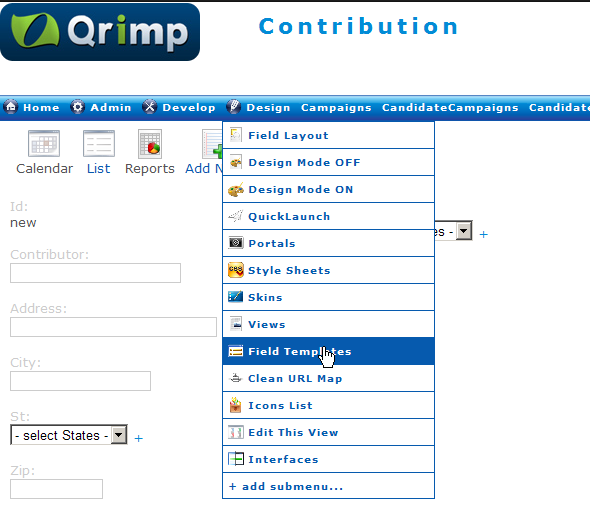 This tells Qrimp to create a select box that will filter the Candidate select box and show only those candidates where the party is equal to the party we select in the Parties select box. The code above is telling Qrimp to display a SELECT box with data that is used to filter another select box that ultimately has the list of items of which one is the desired selection for the field in this table.